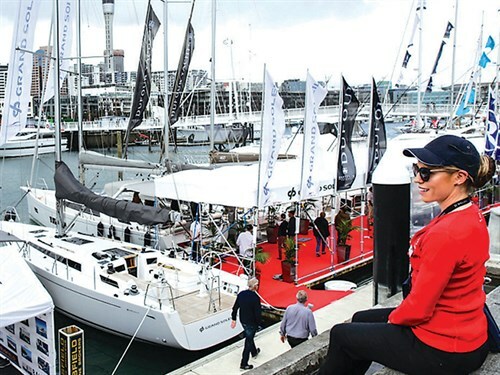 New Zealand’s biggest on-water boat show is on this month, September 28 to October 1, at Auckland’s ANZ Viaduct Events Centre, showcasing almost 200 domestic and international marine businesses. Show visitors can experience a wide range of vessels, both on and off the water, plus marine equipment and services, marine electronics, fishing tackle, travel services and much more. In addition to an extensive range of New Zealand built and imported yachts, motor launches and amphibious vessels, show patrons can see all of New Zealand’s leading trailer boat manufacturers, plus several from offshore, on display. Other recreational craft will include dinghies, tenders, PWCs, paddle boards, inflatables and kayaks, plus associated accessories, equipment and services. On-water demonstrations are a feature of this show, so be sure to check them out. Need power? Compare options from an extensive range of commercial and recreational marine diesel engines, outboard motors, plus smaller marine engines suitable for recreational or work applications. Ancillary marine equipment will include generators, inverters, pumps, hoses, battery chargers, bow and stern thrusters, interior and exterior lighting and electrical systems of every kind, along with a comprehensive selection of safety equipment. For fishos, there’s the fishing court. Organised by NZ Fishing Media, the Fishing Court upstairs on level three of the Viaduct Events Centre will feature fishing gear, fishing seminars and tackle demonstrations, kayak fishing and much more. A feature of the area will be the presence of Hunting and Fishing, whose staff will offer show patrons a range of top-end tackle accompanied by sound advice. This year we will be profiling and celebrating the Royal New Zealand Yacht Squadron, Volvo Ocean Race Auckland Stopover, Yachting New Zealand and the NZ Marine and Composites ITO in the Sailing Room, Level 3 of the ANZ Viaduct Events Centre. To celebrate ETNZ’s recent success in Bermuda, the Royal New Zealand Yacht Squadron will have both the America’s Cup and Louis Vuitton Cup on display (America’s Cup on display Friday – Sunday only) in the Sailing Room, Level Three of the Viaduct Events Centre, where they will also showcase their successful sailing programmes, club membership options and apparel. Auckland’s position as a Host City stopover for the Volvo Ocean Race will also be celebrated. The Volvo is relentless: the importance of winning, the adventure of life on board, the transformative effect on the sailors — all of these combine to give the race its power and depth. Visit the VORAS stand, view the trophy and learn more about the Volvo Ocean Race. NZ Marine and Composites ITO will be profiling the world’s leading boat building apprenticeship. The New Zealand Marine, Composites & Marina industries need skilled tradies. NZMAC ITO Apprentices learn practical, transferable skills on the job, with no student loan." 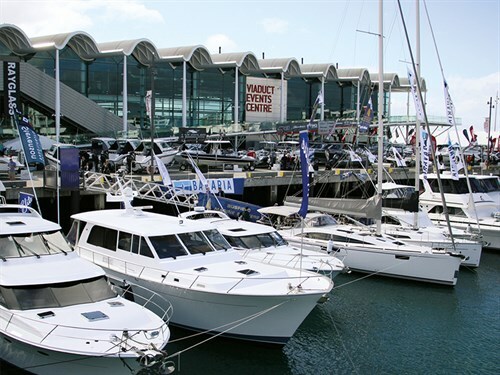 Single and multi-day show tickets are available online, www.auckland-boatshow.com or at the gate. Times: from 10am every day. Closes at 6pm, Thursday through Saturday, and 5pm on Sunday. Gate prices: Adults $25 ($35 four-day pass), children under 15 enter free.